It is with great pleasure that we update you on our project The Power To Heal. 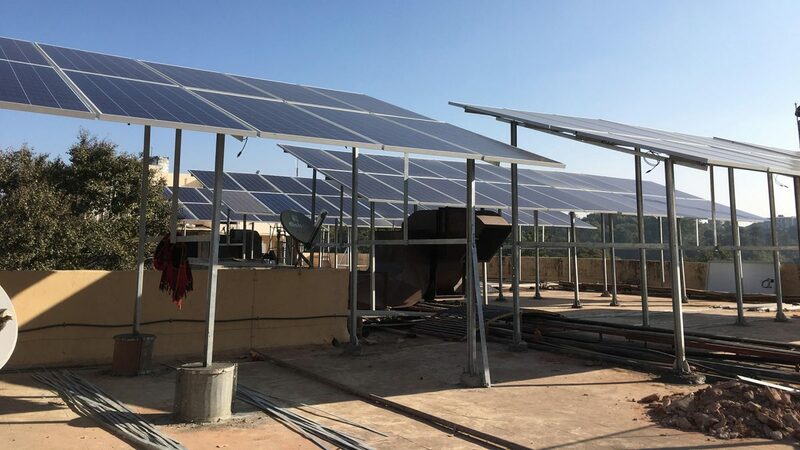 As you know, The Power To Heal is a joint effort by Rotary Club Mount Abu, India and our own club in The Hague, to install a solar power system at J Watumull Global Hospital & Research Centre in Mount Abu, Rajasthan, India. In support of the project we organized our 1st International Fellowship Weekend The Hague, on May 12-14, 2017. With 20 guests from 5 clubs in the UK, Bulgaria and Ethiopia we enjoyed fellowship and special events in and around the city. During the gala dinner on the 13th we welcomed 160 guests from over 20 countries, having a festive time and even a moment of meditation, all in the spirit of The Power To Heal. We are very grateful to you, our guests, contributors, sponsors and donors to the raffle and auction. Besides bringing your good spirits you shared with us your generosity and helped raise €20,000 during the weekend and dinner. The Dutch foundation Wilde Ganzen added €10,000 for a total of €30,000. Further good news came from joining hands with Stichting Global Hospital (and again Wilde Ganzen), reaching a total amount of €82,500. With this money, a total capacity of 82kWp (kilowattpeak), will be installed, making the hospital almost grid independent. Furthermore, the volunteer advisers have identified and advised several opportunities for energy savings, which the hospital will take up as well. Installation of the solar system is in full progress and we will report back to you of course upon completion. Once again, on behalf of the organizing team and all of us at Rotary Club The Hague Metropolitan, thank you very much for your support and generosity, making The Power To Heal a reality and benefiting thousands of patients in and around Mount Abu. We look forward to seeing you again in The Hague, at our 2nd Annual International Fellowship Weekend, on May 11-13, 2018 and our gala dinner on May 12, 2017. We will support a medical center in Belem, Pantanal, Brazil with a dental chair, various tools and a dental X-ray machine, to help the doctors improve the very important oral health and the life of many. More information will be soon published on our website.